Verfasst von Mic am 07. März 2011 . 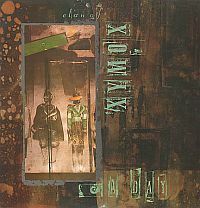 The combination of dreamy minor harmonies, Ambient, Pop and Electro Dance fused together with the elegance of the 4AD label, made Clan of XYMOX a rare event in the independent wave scene of the 80s. Both the albums "Clan of XYMOX" and "Medusa" are rightfully regarded as classic releases on the 4AD label that have lost none of their fascination. 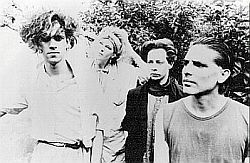 After interviews with all original band members, and ultimately triggered by a dispute over the band's history on the English Wikipedia page, unruhr.de have now collated their own XYMOX biography (hier zum deutschen Text). The aim is to recount the story of the band on the basis of memories of all the original band members instead of, for the umpteenth time, only Ronny Moorings's version of the XYMOX story. This biography is not definitive; ultimately it's bound to carry some subjectivity as this is the summary of my personal understanding of the history of XYMOX. Shortly after, he met Anke Wolbert. They decided to make music together, and called themselves "XYMOX" (a variation of "Zymotic", a word which, in capital letters, has a striking, barbed wire-like appearance). Anke played bass, Ronny guitar and synthesizer, and with the help of a drum machine, they worked out a few songs based on simple chords. In Nijmegen Ronny shared his flat with a new roommate named Pieter Nooten, who sported short, punk-like dyed hair - and also owned some synthesizers, a drum machine and a four track recorder. Both were making music by themselves, only occasionally jamming with each other on instruments. The mini-album shows a very raw and minimalist version of XYMOX. Simple drum beats, with a few chords dominated by either synths ("Going Round", "Call It Weird") or guitar ("Strange 9 to 9", "Muscoviet Mosquito", "Absymal Thoughts"). The songs were orchestrated very sparingly yet, in their incompleteness, are very charming. While Ronny sang most of the songs, in a Cure-like voice suffering the world's pain, Anke took on the vocals of "Call It Weird". In a thin voice, she sings around the synthesizers in an endless loop, creating a strange atmosphere divided between hypnotic, psychedelic and amateurish. Even more radical is "Going Round", with loops like a never-ending carousel ride in a drunken stupor, or like Andreas Doraus "Fred vom Jupiter" played at 45 rpm. Yet both songs, like the whole EP, have become classics of Minimal Wave, even if "Going Round" is a "disaster of a song, with inane lyrics tuneless bolstered by inept synthesizer backing". The band's later classic "Muscoviet Mosquito" was first published here, in a more rudimentary version, featuring a melodica melody much slower and darker than on later recordings. In retrospect, the band looked back at this EP as a "youthful sin"  and destroyed many of the 500 copies , which could explain why this original mini-album now trades for astronomical prices at record fairs. The band received some attention for the budding project, and secured a performance in Paris. For this appearance Ronny recruited his old flatmate, Pieter Nooten, as an extra band member. Pieter played keyboards, Anke bass and keyboards, while Ronny sang and played guitar. Pieter started to contribute new song ideas and demos, which XYMOX used to expand their repertoire. The album (CAD 503) was released by 4AD in June 1985. By then, the band's name was still XYMOX; it was only after the release of the album called "Clan of XYMOX", the band's name matched its title. The name lasted for the next 2 years. "Clan of XYMOX" fused British gloom with continental electro beats, and despite all its haunting melancholy and glorified grief, it also exhibited great pop-mindedness. The lead vocals by all three band members made the album sound very diverse, without managing to hide their love altogether for bands like New Order or The Cure. 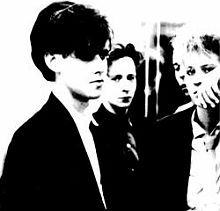 In its best moments (and there are many on the album), XYMOX creates a perfect blend of intense atmosphere, with distant dramatics and alienated Wave guitars merged with synth sounds, until one no longer knows which is guitar or which is synthesizer. "Cry In The Wind", with the fascinating guitar solo played and written by Frank Weyzig, is an example of this; as is the ambient song "Equal Ways", and the floaty electro-pop of "No Words". 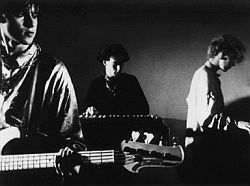 "A Day" and "Stranger" (reminiscent of New Order's "Blue Monday") proved two electronic dance anthems (also later remixed as 12 "(BAD 506)), which earned the band a great deal of attention - helped by the video for "A Day", which successfully ran on MTV. The album became a success: the reviews drew comparisons with New Order and ranged from good to excellent, and it was not long before John Peel's attention turned to the Dutch band and invited them to their first Peel Session on 06/04/1985. A second session followed in November 1985. In 2001, Strange Fruit released these XYMOX Peel Sessions on CD. After the release of the album Clan XYMOX embarked on an extensive tour of the UK and continental Europe. XYMOX sounded more aggressive live than on vinyl, "in places like The Chameleons" as Spex 1985 felt: "Sometimes they lost the synth and drum machines to a three-guitar front, sometimes with a touch of spontaneity, even though the concert was regimented to sync with tape and computers. This meant even the encores became a reproduced act. They seemed to follow this discipline as if clinging to a straw". In addition to songs from their debut album and "Muscoviet Mosquito" from "Subsequent Pleasures", XYMOX performed two new songs, "Louise" and "Move the Glass". Unfortunately, "Move the Glass" which was written by Frank Weyzig, and which showed impressive intensity and drama, never appeared on any album and is therefore a sought-after song on past live bootlegs. Ronny: "Move the Glass" was a new song in '85 but it just did not work in the studio to make it into a proper song, I guess I just forgot about it and never tried to work it out again ". By contrast, "Louise" secured a place on the next album, which would be released in late 1986 and become one of XYMOX's most popular albums. Ronny Moorings: The Xymox-Story - in: Gothic II, 2002, ISBN 3896023969. Rick Anderson: Subsequent Pleasures - AMG, http://www.allmusic.com/album/subsequent-pleasures-r307125/review, retrieved: 27.02.2011. Xymox - Subsequent Pleasures - Pseudonym Records, 1994.
 unbekannt: Subsequent Pleasures - Discogs, http://www.discogs.com/Xymox-Subsequent-Pleasures/release/429618, retrieved: 27.02.2011. Jeff Keibel: "Moving Forward: A conversation with 4AD founder Ivo Watts-Russell" - Facing The Wrong Way, 2009, http://www.fedge.net/ftww/interviews-ivo_02.html, retrieved: 03.03.2011. Phil: Frank Weyzig (Born for Bliss, White Rose Transmission etc.) - gothicrock.ru, 2010, http://gothicrock.ru/din/e107_plugins/content/content.php?content.264, retrieved: 05.03.2011. Wikipedia: Clan of Xymox - http://de.wikipedia.org/wiki/Clan_of_Xymox, retrieved: 27.02.2011. Bernhard Raestrup: Nicht Picasso - Spex, 1985. Mic: Clan of Xymox: "Enchant me, mesmerize me" - unruhr.de, 2004, retrieved: 27.02.2011.